While bitcoin has been the most popular cryptocurrency since its adoption in 2009, a number of serious competitors to this market giant have emerged in recent years. One of them is Litecoin. Developed in 2011 by Charlie Lee, Litecoin (LTC) shares many of the same core principles as the Bitcoin platform which have made it so alluring to so many. It is decentralised, meaning that there is no governing body which has total control over it. This protects you against corruption and mismanagement – something that is rife in the banking world. 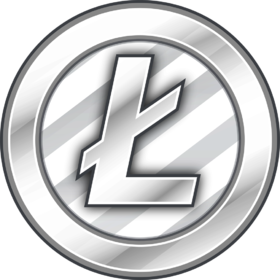 Litecoin also operates on a peer-to-peer network, so there is no middle-man required to facilitate transactions. Sending and receiving LTC is done directly between the two parties involved. A major perk of this is that in the world of P2P crypto transfers, there are no closing hours or bank holidays! As a result, users aren’t at the mercy of the operating hours of financial institutions in order for their transactions to process. Another inherited quality of Litecoin is that the supply of coins is limited and fixed. There are 84 million available – much like bitcoin’s predetermined availability. This protects cryptos like these from hyperinflation, where a deliberate increase to the supply of currency leads to the diminishing of its value. But what about the differences? Why choose Litecoin over bitcoin? Well, the former does have a couple of big pros over its main influencer. One of them relates to transaction speed: the Litecoin Network reportedly processes blocks in its blockchain 4x faster than bitcoin, currently making it the speedier option when sending and receiving coins. The other victory for Litecoin relates to its comparatively lower transaction fees than bitcoin – with averaging costs sitting at $0.30 per transaction compared with an average fee of $8.50 for its ancestor. This makes Litecoin a particularly suitable choice if you intend to use it as a means of payment, while bitcoin is more appropriately a store of value. So how do you get your hands on LTC? Do you need to jump through 50 hoops to get it? Fortunately nowadays, buying crypto and using it as a payment method is actually very straightforward. Start off by getting yourself a digital wallet, which will allow you to send and receive your purchased Litecoin. The official wallet endorsed by the developers, known as Litecoin Core, can be downloaded here. It’s worth noting that hardware wallets are also available (such as the Ledger Nano S), which store your cryptocurrencies offline and keep your funds extra secure. Once you’ve got your wallet set up, all that’s left for you to do is head to an exchange that sells Litecoin and send it to your wallet’s address. Availability depends on your country, but some of the most reputable exchanges are Coinbase, Kraken and Bitfinex. BetCoin is a titan when it comes to cryptocurrency gambling industry. The site is a one-stop place for everything, hosting a casino, sportsbook and even a poker room. Having all of these services tied to one account is extremely handy if you enjoy crossing between them. The casino is by far its most impressive feature, providing hundreds of different games from 3D slots, every table game imaginable to virtual sports such as tennis, basketball and even motorcycle racing. They have a dedicated section to provably fair games which includes dice, blackjack and baccarat. This sort of transparency when it comes to odds is definitely refreshing on a gambling site. If you want to bring the live casino atmosphere right to your home, BetCoin has a selection of games featuring real-life dealers with audio and video feed. The sound of chips clattering and cards shuffling invigorate the online gambling experience (and the attractive croupiers are a plus)! The sportsbook on the site is extremely diverse, offering a bunch of markets across hundreds of events. Soccer fans are in particular luck, with games often having 160+ different markets so you can find the perfect bet with competitive odds. Other sports include basketball, tennis, baseball, motorsport, cycling and even e-sports – a testament to just how many betting options BetCoin offers its bettors. When it comes to bonuses, the site really differentiates itself from other crypto sites with numerous deposit payouts. Normally, a casino will offer a one-time first-deposit bonus, but at BetCoin, you get three of them! The first is a 100% bonus, the second is 50% and the third is 25% - all on amounts up to 1 BTC. Throw free spins for newcomers and a VIP ladder featuring betback and lossback into the mix, and you can see why BetCoin is one of the most popular gambling sites around. For those of you who own other cryptos as well as Litecoin, the site also accepts Bitcoin, Ethereum, Bitcoin Cash and Dash as deposit methods. You can register for an account in minutes and the support team are contactable 24/7 at contact@betcoin.ag. Good luck out there! While BetOnline is normally praised for its expansive sportsbook and competitive odds, it has a massively underrated poker room. Though the site doesn’t get the same sort of traffic as a major player like Americas Cardroom, it still ranks in the top 5 for US poker traffic and there’s more than enough action going to always have a game to play in. Sure, the graphics might not be the most polished in the world, but that’s not why we come to BetOnline. What makes playing here so appealing is the softness of the games. 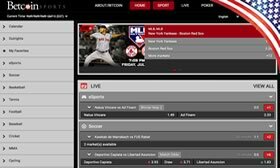 Because of BetOnline’s prominent sportsbook and casino, a large percentage of the player pool come over from these areas to have a punt on the felt. If you fancy yourself as a good player, you can make a nice buck or two on this type of site. In addition, the player pool continues to grow as they offer mobile and table support through a browser-based client where there’s no download necessary to play. BetOnline also pay out an industry-leading 200% bonus on first-time deposits up to $1,000 (emailing freeplay@betonline.ag including ‘POKERNEW’ in the subject line to get the exclusive offer). You can also earn ‘POP’ points by playing at real money tables, which in turn can be redeemed for special tournament tickets and sit & go’s. Register for an account in minutes at BetOnline and leverage the speed of lightning-fast Litecoin deposits to get playing instantly! For any enquiries, get in touch with a member of support anytime at poker@betonline.ag or by phone at 1-888-426-3661.